You are responsible for reserving a hotel room for the Summit. 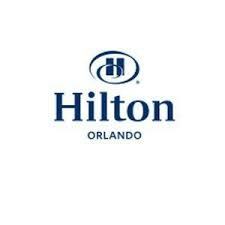 After you register to attend the Summit, you will need to book your hotel reservations at the Hilton Orlando. A special group rate of $239 has been locked in under the group name: 2019 JDUG Dealer Solutions Summit. Please note: The group rate is guaranteed for reservations made on or before Tuesday, January 15, 2019 or when the block hits capacity. All reservations must be accompanied by a first night room deposit or guaranteed with a major credit card.